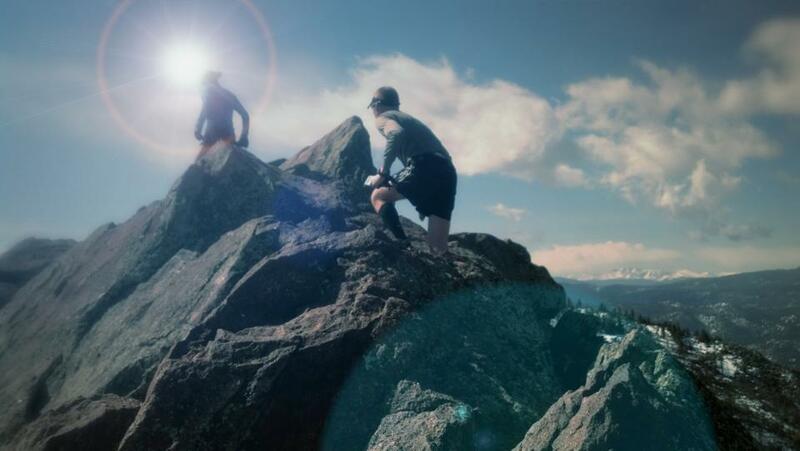 Like the rest of the world, ultra-marathoners are dreamers. What makes us different from most is that we turn our dreams into realities. We face the same fear and uncertainty, but we don’t let it hold us back. That’s what defines us and allows us to fulfill our dreams. It may even be said that we live somewhere between reality and the dream world. It is in this ‘in-between’ where our soul grows and flourishes. 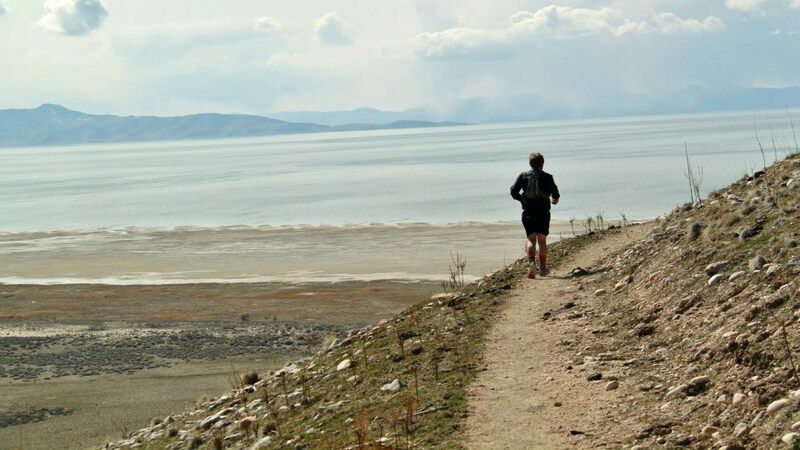 The Antelope Island Buffalo Run races are a very early season grouping of races (25k, 50k, 50mile, 100mile) that offer some amazing running on perfect trails in a very unique setting. 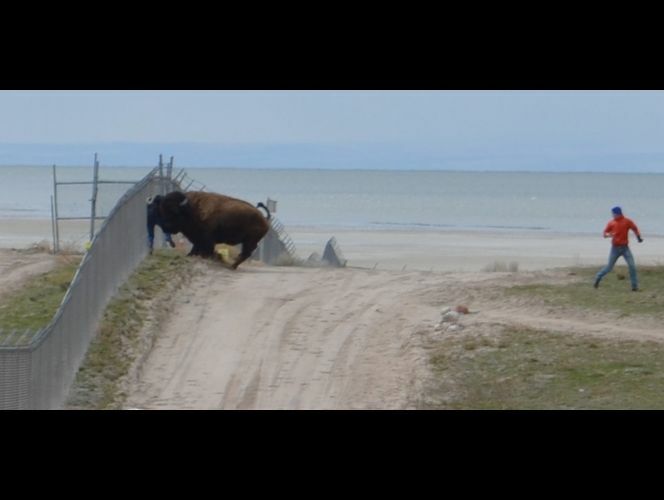 Runners get the privilege (some wouldn’t call it that) of actually running with buffalo and antelope, all the while getting views of the Great Salt Lake and the Wasatch mountain range. Jim Skaggs, the amazing race director, hosts upwards of 800 runners between four races, all starting at different times so that many of the races finish on Saturday afternoon, just in time for his home made buffalo or vegetarian chili. He does not offer finisher medals, but instead provides massive mugs with the race logo, name, and distance completed. Only the 100 milers get a buckle instead of a mug. The 100 mile race starts on Friday afternoon at noon. 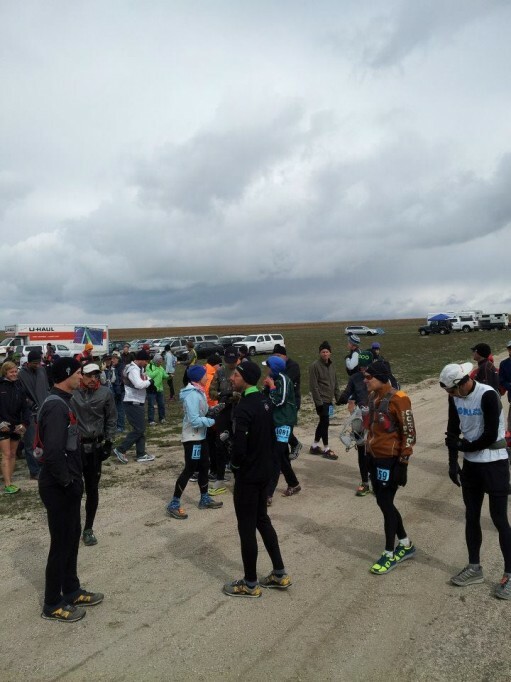 There were 90 competitors signed up, but with dodgy weather (snow flurries, temps in the upper 20s/low 30s, and high winds) Skaggs allowed people to drop down to a lower distance if they so decided. My estimation is that there may have been 10 or so who elected to do that. I had a pretty aggressive goal for myself and knew I’d have to have a perfect day to accomplish it. The weather was already putting that at risk. My spirits were high, however, and it was a pleasure to take off from the starting line with good friends Matt Van Horn, Robert Mueller, and Aaron Spurlock. Together we ran the entire first 19 mile loop together, taking turns leading and just chatting away back around to the start/finish. It was here that I had to take a potty break and the group broke up. I caught back up to Aaron a couple of miles later. He was still feeling the effects of an earlier illness and my stomach had turned on me, so we both struggled along on the long 23 mile out and back section to the Ranch. Once at the turn around I continued on while Aaron slowed. I struggled onward to the Lower Frary aid station (mile 38) where I had some chicken broth and orange slices. Something clicked and I finally felt pretty good so I picked up the pace. Just before mile 42 I caught back up with Matt, who had slowed a little, and in tow we pushed up the hill to the road where we caught up with Robert again. Now in a pack of three we pushed hard to the 50 mile mark at the start/finish line, getting there in 7hrs 51min. I used the restroom for the third time while Matt quickly headed out for his second lap of the course. Robert called it a day there. On my second lap I picked up pacer Jennilyn and she pushed me up the first big climb. We passed Matt about a quarter of the way up and quickly gapped him while he slowed to recover from that last push to the 50 mile mark. On the out and back to Elephant Head I started having diaphragm cramps, usually caused by too much caffeine and not enough real food. I tried to remedy it, but it just wouldn’t go away. The next 10 miles went very slow and I was getting frustrated. Jennilyn was doing her best to keep my mind occupied, but it was everything I could do to not get down on myself. When we finished that loop back to the start/finish I felt it was time to finally change my socks. During this time Matt passed me again and would build on that gap for the next 30 miles to the finish. Jennilyn continued to push me as best she could. My energy would gain and wane in waves and I felt like I had no control over it. Normally, in 100 mile races I have no need to sit down at aid stations other than to fix gear, but the temperatures were so cold and the wind biting that I was taking advantage of the chairs to warm myself while I ate and recover, losing precious time in the process. 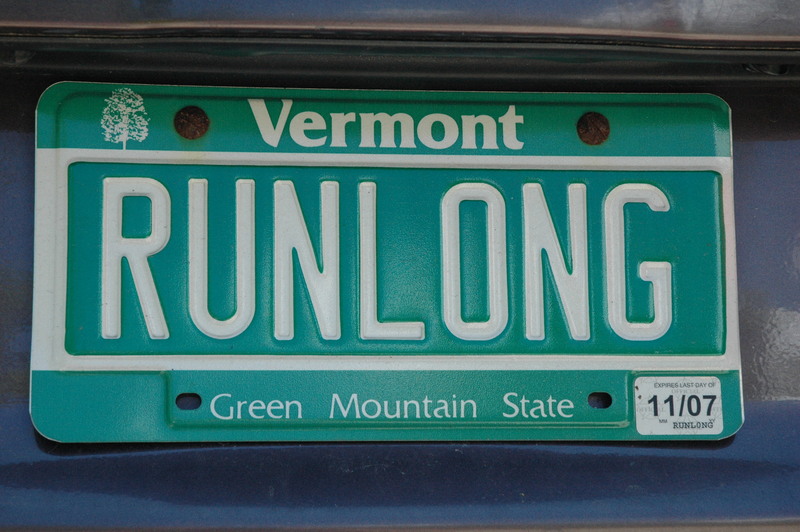 I’m an advocate for always keeping on the move, but I just couldn’t manage it during this race. Jennilyn was using every tactic in the book to try and keep my mind away from the disappointment I was vocally expressing in regards to not achieving my goal. She was sharing random stories, playing music on her phone, and at times just letting me run in quiet solitude. I later learned that she was having struggles of her own and I feel bad for contributing to that. I wanted nothing more than for her to have a fun and uplifting experience as she is going to be racing her first 100 miler in 9 weeks. Unfortunately, I was in my own dark place and not my normal jovial self. Just prior to reaching the Ranch on the long out and back I came across Matt who was still holding a running pace. We hugged and I shared a few comments and he was off. I was close enough that had I felt better and drawn upon some type of competitive edge I’m certain I could have caught up to him. Instead, I got to the Ranch, sat down, and quietly sulked. Leaving the Ranch for the 2nd time might be one of the more gratifying portions of the race because I knew I was on the home stretch to the finish, only 17 miles to go. 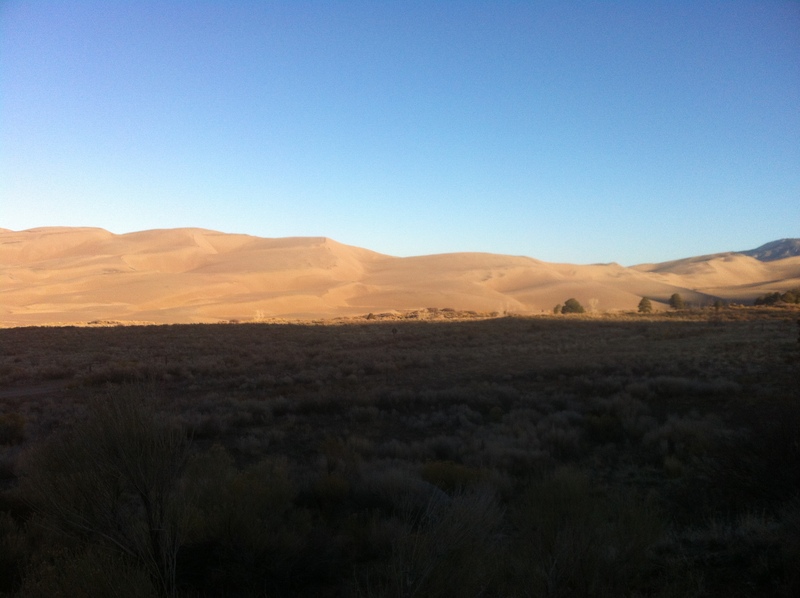 Once out running into the wind I would set small goals for myself and found that I was actually able to do more running on the way back from the Ranch than to it, even with the wind in my face. Jennilyn was providing subtle, yet supportive compliments that reinforced my effort and it made a huge difference. Shortly before reaching the Lower Frary aid station, however, Jennilyn informed me that her knee had inflamed to the point that she would need to discontinue her pacing duties and call it a night. With only 12 miles to go I was confident I could finish on my own and I wished her the best as I left the aid station and finished the final 5 miles of the long out and back section. Once off the out and back and up onto the paved road before dropping down to the Lakeview Trail I was doing my mental math to see if I could still go under 19 hours. I knew I’d have to push, but how fast I wasn’t sure. When I get well into an ultra the first cognitive process I lose is my ability to do any kind of math and it was failing in a big way. I skipped the last aid station and got onto the very technical trail leading around Buffalo Knoll. During the first 50 we averaged almost an 8 min/mile on this section, 97 miles in though and I was having to walk around all of the rocks. It wasn’t pretty. On the stretches of straight trail I was able to maintain a running pace, but now I was losing confidence that I had enough time to go sub-19. With a half mile left before hitting the road a light came towards me and then someone called out my name. I knew immediately that it was Zac Marion, good friend who had supported me all night through the race. He had run backwards on the course to pace me the last couple of miles. He set some basic goals and drove me with great encouragement to press hard. Just before turning onto the last dirt road stretch he allowed me to stretch my legs for one minute and then we were off. We started off slow, but slowly picked up speed. I kept checking my watch to make sure I had the time and it started looking good, but we kept pressing the pace. Even up the last hill to the finish line we ran hard. I crossed the line in 18:58:00, good enough for 6th place and a 20 minute PR for me. It was a battle I look back on with gratitude and it has given me great confidence for the rest of the year. I can’t say enough about my gear. 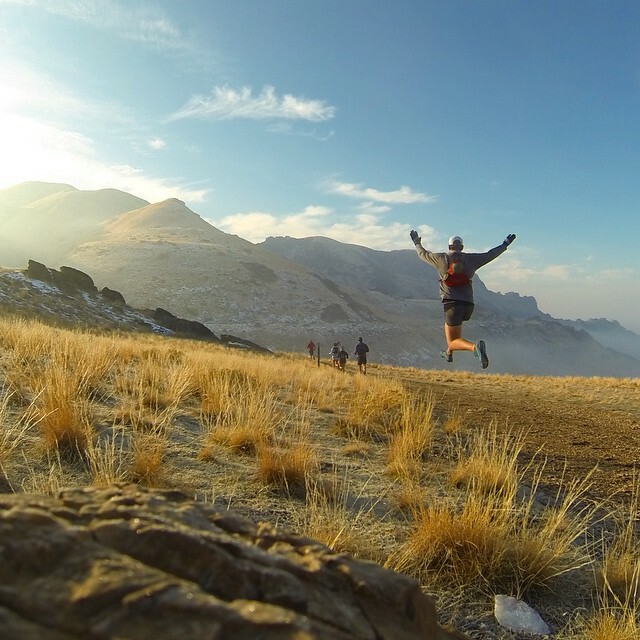 I wore a single pair of Altra Lone Peaks the entire race and never felt any hot spots or got a blister. 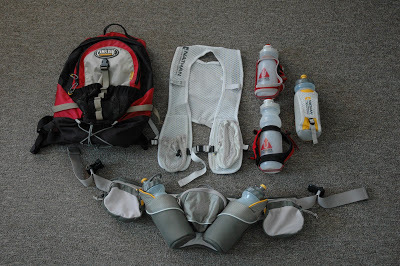 I also wore the Ultraspire Revolution race vest, likely the best racing vest on the planet. Thank you to Jim Skaggs who puts on one of the best races on the planet and to my pacers, Jennilyn and Zac who ultimately are the reason I finished as fast as I did. And finally, big props to all my friends and family who spent Friday and Saturday pouring their hearts and souls into their races to come out with successful finishes, PRs, and a new vision of their future. What a great weekend.